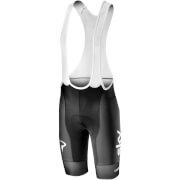 Bulletproof bib-shorts. Ask any pro, road rash on your hips after a crash makes getting a good night’s sleep dif cult. Broken skin also increases the risk of infection. 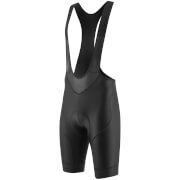 The Impact bib-shorts will help you bounce back in the unfortunate case of an accident, by minimising skin injuries. They’re made with anti-rip Impact fabric by Sitip, reinforced with Dyneema bres - the world’s strongest materia - 15 times stronger than steel. 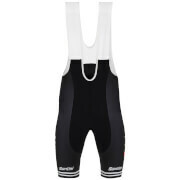 The Impact bibs are also extremely lightweight, exible and breathable. Featuring our C3 padding with ergonomic 3D surface and gel core, they assure maximum comfort and durability through time. Innovative Crash Protection Avoid Gravel Rash After A Crash With Sitip Impact Anti-Cut And Anti-Abrasion Bres Made With Dyneema Anti-Cut And Anti-Abrasion Bres. Enhanced Cushioning C3 Chamois Offers Unparalleled Comfort. Flexible Style Matches With Any Jersey Design.